Abstract: The subsurface sedimentary succession of the Iberian Trough, Spain was examined using geophysical techniques (analogue seismic profiles) and inverse distance weighted (IDW) interpolation algorithm implemented in a gvGIS open source software. The results showed that the Late Cretaceous succession is divided into two depositional sequences: DS-1 (Late Albian–Middle Turonian) and DS-2 (Late Turonian–Campanian). From the analogical seismic sections, digital data and quantitative isopach maps for DS-1 and DS-2 were obtained. The new isopach maps obtained for the DS-1 sequence showed that the deeper sectors of the basin were located to the northeast and the proximal ones to the southwest. The palaeoshoreline was inferred to be situated in the N 150 direction. Across and parallel to this direction several blocks were delimited by faults, with a direction between 30 N and N 65. The thickness of the sediments in these blocks varied in direction NW–SE, with subsidence and depocentres in hangingwall and uplift in the footwall. These variations may have been related to active synsedimentary faults (e.g., Boñar and Yugueros Faults). In the DS-2 sequence, a lineament separated the smaller thicknesses to the southwest from the larger thicknesses (up to 1400 m) to the northeast. This lineament had an N170 orientation and it indicated the position of the palaeoshoreline. In the isopach map for DS-2 there were two groups of lineaments. The first showed a block structure that was limited by N 100 –120, they were foundering toward the S and had large thicknesses (depocentres), and rose towards the N, where there were smaller thicknesses. The second group of lineaments had a N 50 – 65 direction and, in this case, they had a similar interpretation as the one in DS-1. 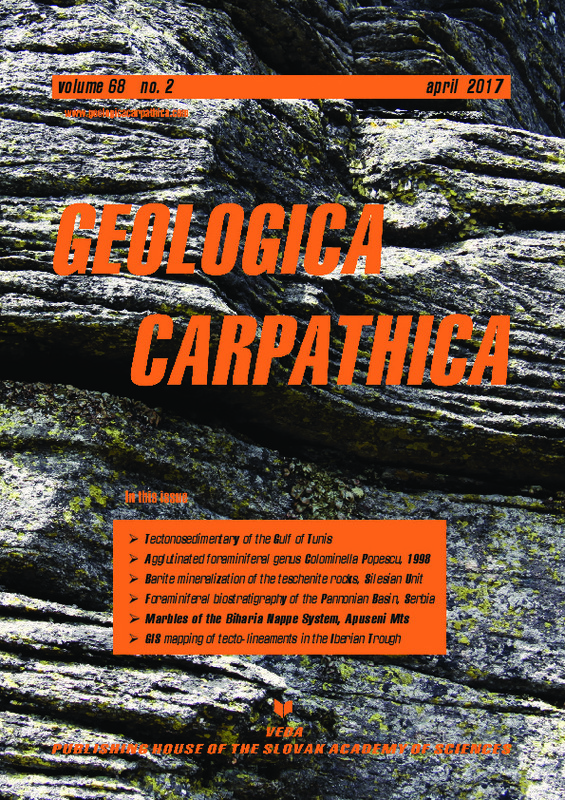 The maps obtained are of great help for geologists and permit better understanding of the geological setting and stratigraphic succession of the Late Cretaceous of the Iberian Trough.